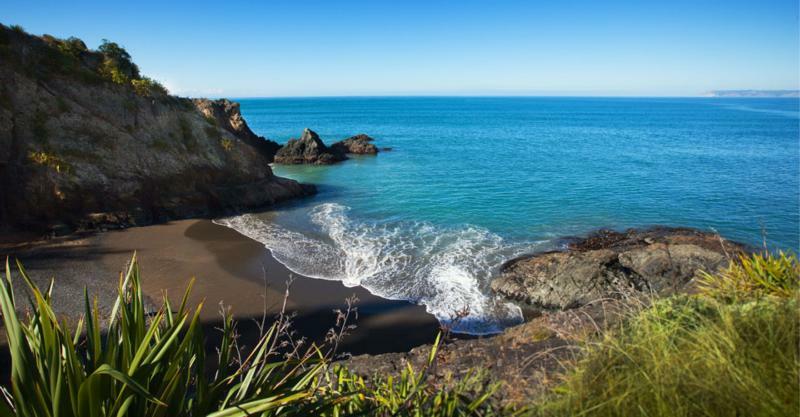 Monkey Bay wines were named after a small but beautiful bay tucked away on the Marlborough coast of New Zealand's South Island, right next to the world renowned Cloudy Bay. Legend tells of a sailor who visited the bay by sailing vessel in the late 1800s. He reported seeing a monkey cavorting there. Locals were skeptical since monkeys aren't native to New Zealand, though it is possible the little monkey had escaped from a whaling ship that had docked in Marlborough. Whatever the real story may be, this idyllic spot became known as Monkey Bay. Monkey Bay wines are just like New Zealand itself – clean, fresh and approachable. Every year our talented team of winemakers strive to produce great fruit forward wines that display vibrant varietal characters. Full of easy drinking style and charm reflecting New Zealand's laid back lifestyle, they're perfect for any social occasion.